Catching Up With Crystalyne: Latest EP, Touring, Japan! 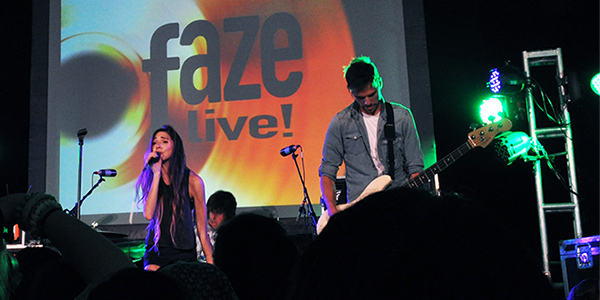 The last time Faze caught up with Crystalyne at our Power Up 2013 live event, this quartet of best friends had recently released their single “Secret” off their first EP, Navigate. The first single, “Punks Don’t Dance,” off their latest EP, embraces their new, happy vibe, and you can see from their music video that they’re not punks as they show off their dance moves. “We worked with Ben Neshell, who did the ‘Call Me Maybe’ video for Carly Rae Jepsen. He had the cool idea involving dance” says Josh. “He said we’ll do a bunch of split-screen stuff, so, like, Scott would be drumming and dancing at the same time, or I’ll be ballerina-ing and playing guitar at the same time. To be honest, I had no idea what he was talking about, but it turned out a thousand times better than I ever thought possible,” Justin adds. 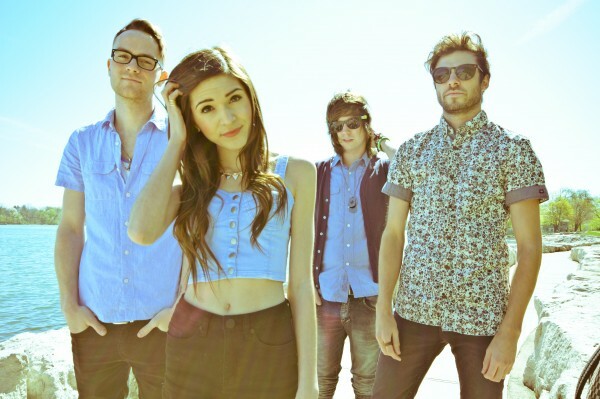 In other big news, Crystalyne just got signed to Kick Rock Invasion, which is a label in Japan. Marissa shares her excitement, “They actually put out the latest Used and Taking Back Sunday records over there, and they’re huge influences to us. It’s pretty cool to say you’re on the same label as bands that you really like.” Josh adds, “I saw Yellowcard on the list of artists they represent, and I almost fainted.” Not to mention, Marissa is a huge Sailor Moon fan and is that much closer to her childhood idol. After releasing a new EP, winning the Bell Media Radio Star Competition, announcing the exciting news of a new label and wrapping up their latest Punks Don’t Dance tour (which kicked off in Toronto during Canadian Music Week), Crystalyne is now getting pumped to join Cody Simpson on stage for Family’s Big Ticket Summer concert. Try to catch them live before they head off to Japan— ganbatte kudasai, Crystalyne! 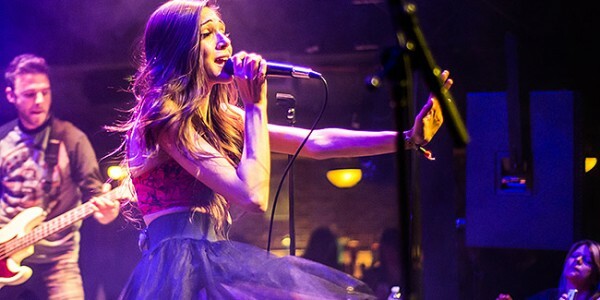 Marissa’s mom made the tutu that she’s wearing in the “Punks Don’t Dance” music video, as well as the one she wore on stage during Crystalyne’s Toronto show. How adorable!